The products incentive recipients receive may change somewhat from one year to the next, depending on the state of the economy, the evolving taste of the public, or even fads. But making sure those awards are from popular brand name manufacturers never changes. In this webcast, you will learn how brand drives trophy value, and trophy value drives motivation, and motivation drives behavior. 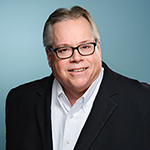 Mike Donnelly, President of Hinda Incentives, is a 30‐year veteran of the incentives, recognition, engagement, and loyalty industries, Mike is responsible for all leadership aspects of Hinda, including sales, marketing, product development, strategic direction, and operations. Incentive Magazine recently name Mike one of the top 25 most influential people in the industry. 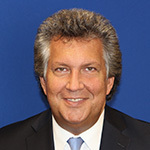 He has also received numerous industry honors, is a CPIM, a board member of the Incentive Federation and a member of the Incentive & Engagement Solutions Providers (IESP) Strategic Industry Group of the Incentive Marketing Association. Mike and his Hinda team are continuously working on the future of engaging rewards, as well as online innovative tools that keep sales, channel partners, employees and customers engaged with client programs. Hinda has grown faster under Mike's leadership than at any time in their nearly 50 year history. Senior Vice President of Sales, Rymax Marketing Services, Inc. Under Paul's direction, the sales division is responsible for developing innovative loyalty programs, merchandise rewards and events on a national and global level that initiate consumer trial, create retention and attain higher returns. Paul oversees the growth of key accounts, develops new client relationships and strategically aligns Rymax's exclusive and national brand partners with an assortment of incentive programs. Paul created the highly successful R-SITE program and deployed it in business verticals as distinct as telecommunications, automotive, finance, pharmaceutical, casino among others. In his 30 years in the industry, Paul has worked for a variety of global Fortune 500 companies, including those in the consumer products and telecommunications industry. Paul is an active member of NIGA, The Incentive Marketing Association, The Incentive Manufacturers & Representatives Alliance Strategic Industry Group and Loyalty 360, the Loyalty Marketer's Association. Paul has been featured on Fox Business News, Bloomberg Television and USA Today. In 2014 he was named one of the 25 People to Watch in the Gaming Industry by Global Gaming Business Magazine. In 2016 Paul was named one of the 25 Most Influential People in the Incentive Industry by Incentive. He is also a regular speaker at trade shows, conventions, roundtables, and universities around the country.